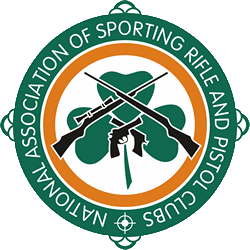 As you are all aware – this years Irish Open will take place in Midlands National Shooting Centre of Ireland on July 6th, 7th & 8th. It will include all the favorites and of course the Irish Leg of the IGRF International Series. There will be a TSG Champion event – with T&P1 & Embassy Cup – shot back to back with the TSG of your choice – on a shared line – aggregate score to decide top gun. There will also be 100m Prone Rifle – available in Sporting Rifle, Field Sporting Rifle & Target Rifle. There will be a Service Rifle side match available throughout the weekend. Aswell as team and aggregate awards. If sufficient Juniors (now changed to 25 and below on July 6th) score in one class, we will award junior medals in that class. Of course all of those medals are an additional award and those people could win their standard class also. We will again be doing a raffle with some amazing prizes with all proceeds going towards the Development find. There will be a night out on Saturday the 7th in Tullamore to celebrate the event and, of course, NASRPCs 40th Birthday. We will have more details in the online registration and in updates between now and the event. Camping will be available on site for those that wish it – and there are loads of accommodation options in the area. We will be opening online registration – which is mandatory – in the coming days. In order to help you plan out your shooting for the weekend please find attached a link to the match schedule for this years Irish Open. We look forward to seeing you all for what is sure to be a great weekends competition. All feedback is of course sought and welcome. If you have any questions please feel free to drop us a line.